While on the phone with my daughter, Jamie, I was telling her that I am finally getting around to posting this old family recipe we serve with ham. She laughed and told me she made it just yesterday and had to ask her sister for the recipe. 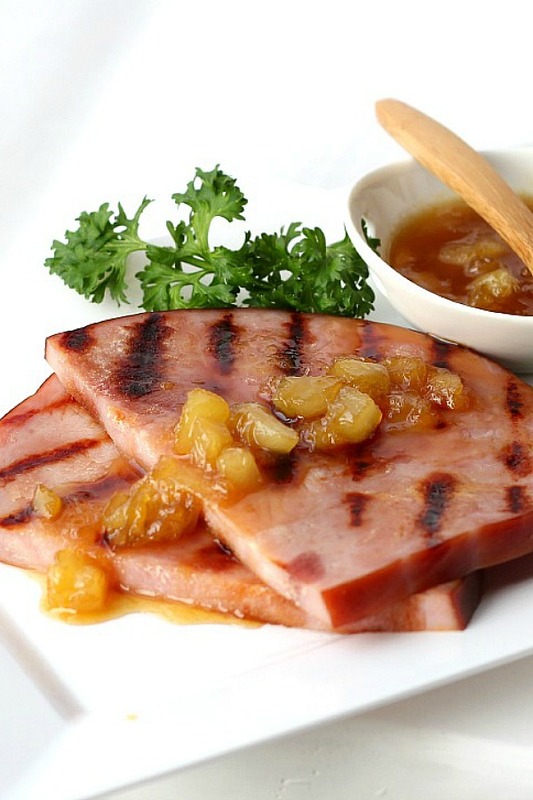 Pineapple ham glaze is the perfect sauce to compliment baked ham. It is an easy recipe that takes just a few minutes and a few ingredients to make but adds so much flavor. Serve it on the side with your Easter or Christmas baked ham or with a grilled ham slice.There are affiliate links in this post. Pineapple ham glaze adds just right amount of sweetness to balance the salty ham. I serve it alongside a baked ham for larger family gatherings, but for a smaller meal or weeknight meal, it is great on a grilled ham slice. 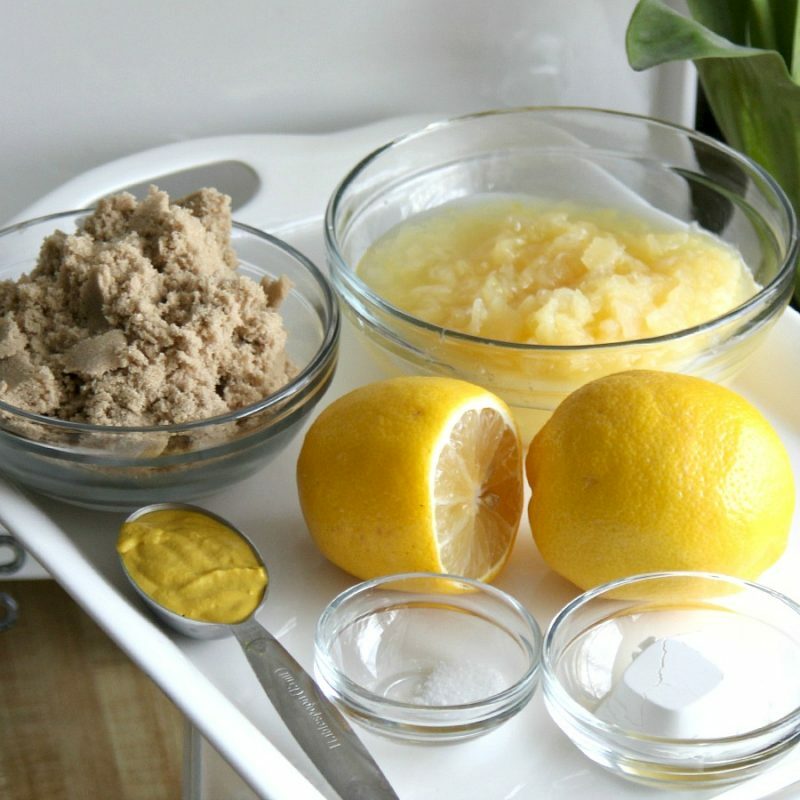 Gather the brown sugar, corn starch, pineapple, mustard and fresh squeezed lemon juice. Stir and boil gently for a minute more. Mix brown sugar and 1/4 tsp. salt in a small saucepan. 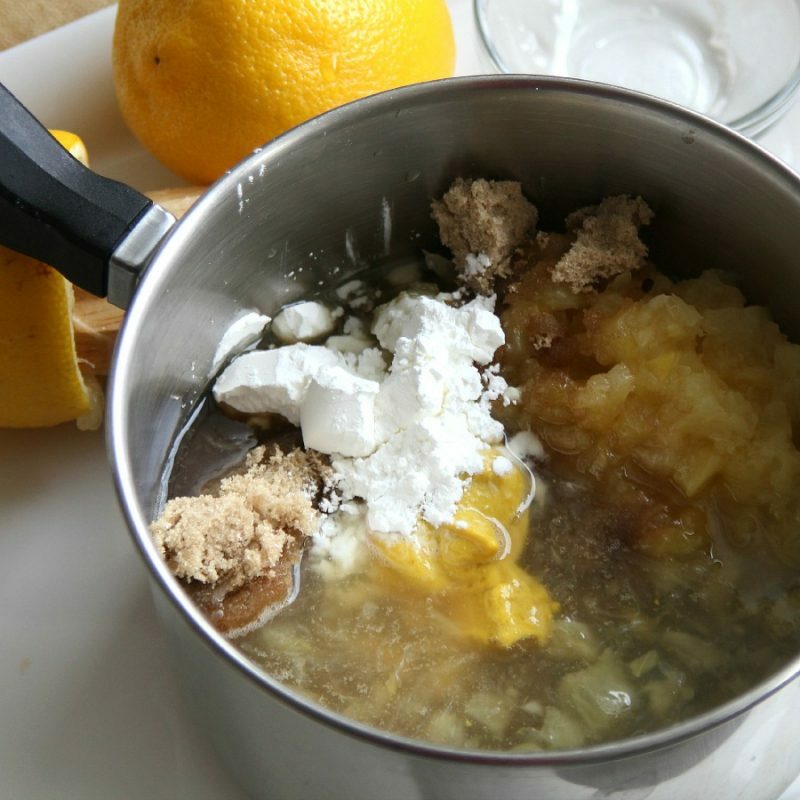 Stir in crushed pineapple with syrup, the lemon juice and mustard. 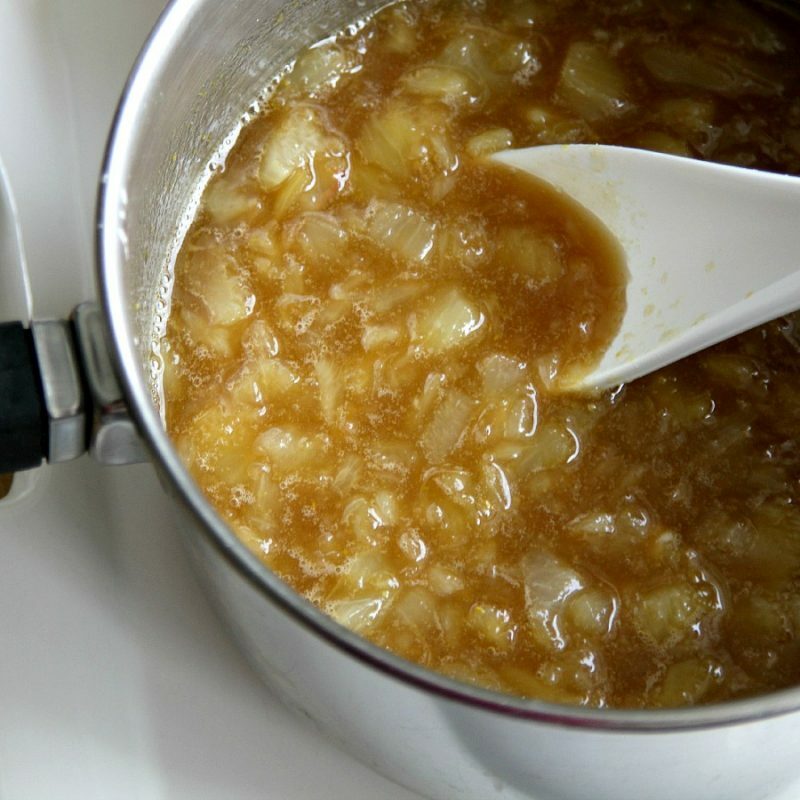 Cook over medium heat, stirring constantly, until mixture thickens and comes to a boil. 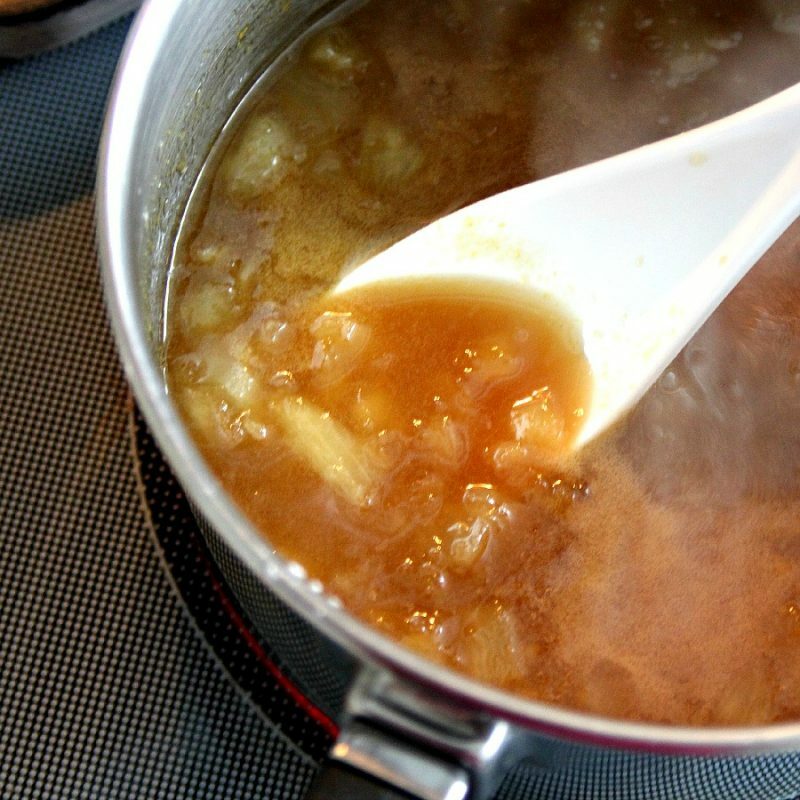 Boil gently and stir 1 minute until thickened. Serve alongside baked ham. Sometimes it is hard to find the small cans of crushed pineapple or I want to double the recipe. The large cans of crushed pineapple come in 20-ounce size. When using the large can, I double all of the other ingredients even though the smaller can doubled equals just 16-ounces. If you think it is a little thinner than you like, simmer the sauce a few minutes more to reduce. I don’t find this is necessary. I have always made and served this as a sauce to spoon on ham slices. Though I have not tried it as a glaze, it can be used as a glaze. To use as a glaze, remove the ham from the oven 30 minutes before it is done. If desired, score the fat surface of the ham lightly, cutting uniform diamond shapes. Spoon or brush on the glaze and continue baking 30 minutes longer. This looks so good, Lorraine! I saw that Lynn tried it and loved it. Thanks for sharing! Happy Easter! Your ham & glaze sound delish! I have two recipes I love. 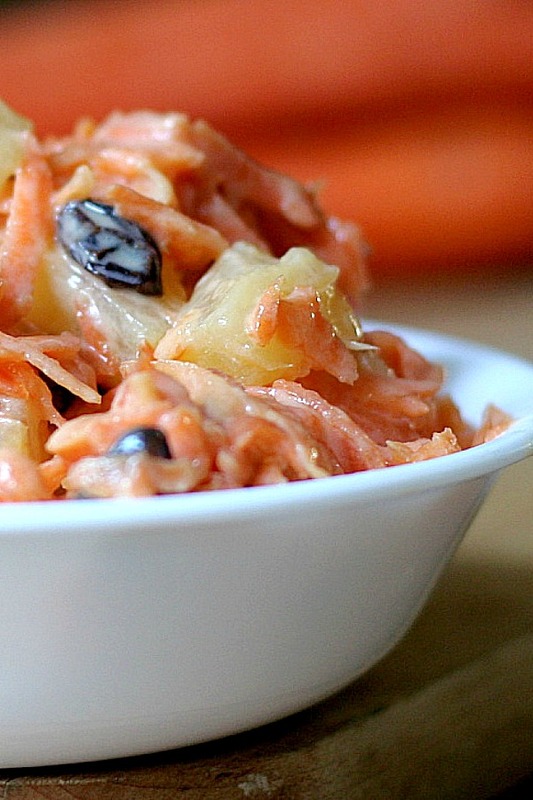 We are going to break tradition and have kolbasi….not sure of the spelling there. We did make pizzelles'. Yum. My gluten-free ones turned out great…nice and thin and crisp. Your grandchildren look so delightful, you must have wonderful times together. I hope you have a very special Easter. Lorraine, this glaze sounds lovely! Happy Easter! 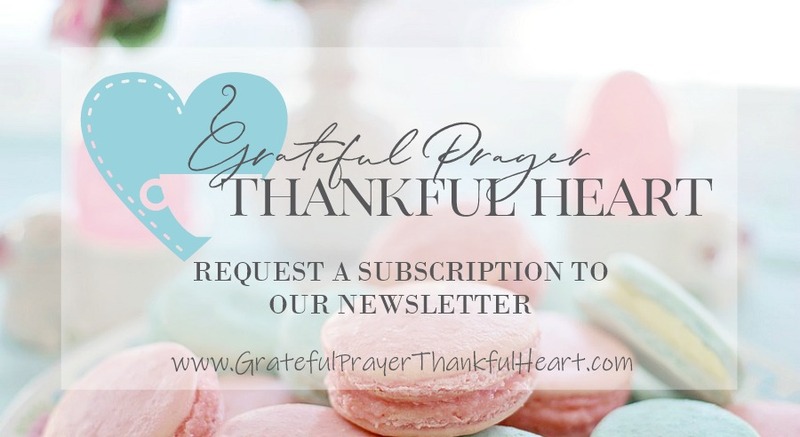 I always seem to come to read your blog when I am hungry….this looks wonderful, I love ham! I think I'm going to have to try this one. Thanks for sharing! This looks so good! I love adding glazes to Ham. 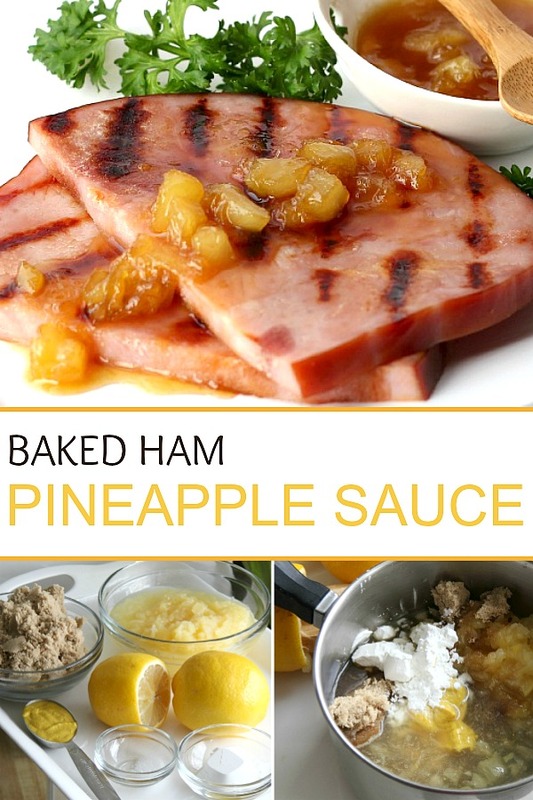 I love pineapple with ham but I've never tried making it like this. Sounds delicious! 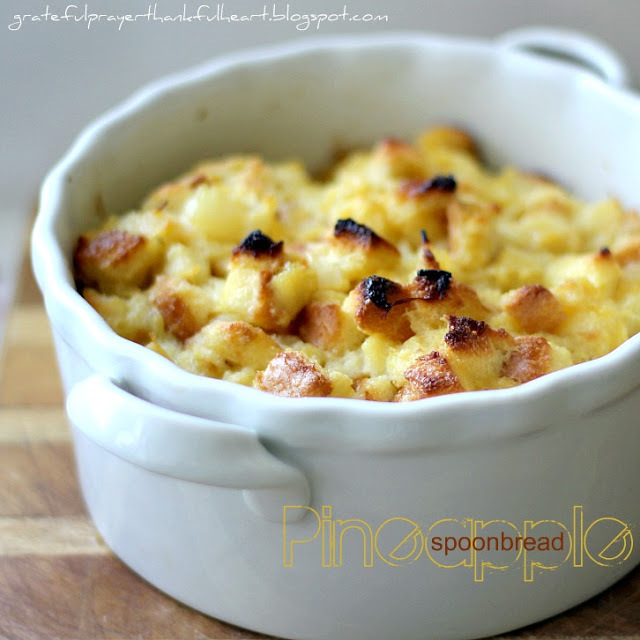 Talking of which, I remember now your recipe for pineapple spoon bread… umm that was so yummy! I really like mustard and pineapple together, this looks like a great sauce.Thanks for sharing. Wishing you and your dear family a most blessed Easter. Oh yum…might give this a whirl! Happy Easter to you and yours! I've never made a ham myself, but I think this would be the recipe i would make! I'm a big fan of sweet pineapple with the salty ham. What a lovely idea for Easter dinner!